Seattle’s weather has finally picked up and it seemed appropriate to spend some time outdoors this last weekend – after being cooped up all winter and especially after visiting Australia for Easter then returning back to rain, rain and more rain. And a bit more rain for good measure. 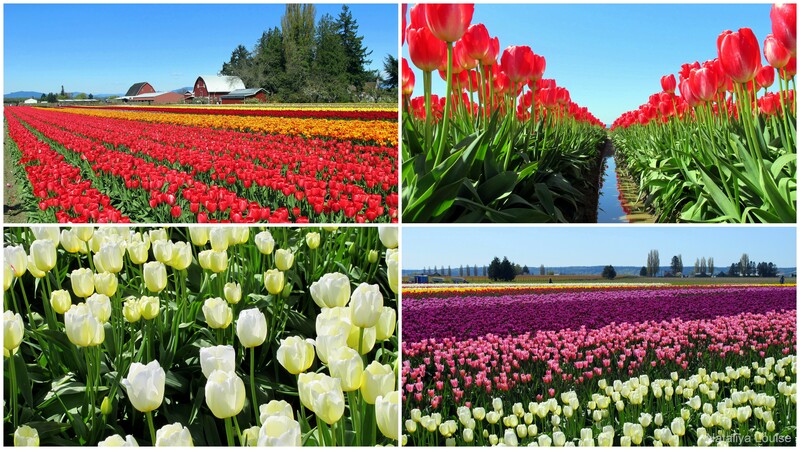 Mia, a friend, wanted to visit the Tulip Festival that takes place in Mt Vernon every spring so we headed up there to look at some flowers and soak up some sun. We were contemplating going to an Indian restaurant for dinner but after heading home to feed the dogs first, the weather was still so stunning and our balcony in full sun that we decided to have a BBQ instead. Unfortunately we didn’t have any capsicum or zucchini to grill along with the burgers this time but I will chuck in some photos at the end from our “Australia Day” BBQ that we had back in January… in the rain. Seattle really loves to rain. No onions or anything else hiding in these bad boys apart from the mince beef of your choice. We used 80:20 mince but you could make them leaner by choosing 90:10 if you’d like. Or play around with leaner meats like turkey. Firstly, make sure your BBQ is heating up. We have a Weber Kettle BBQ that uses coal, so it takes 20 minutes or so (with the coal chimney) to get going. Next, shape fist-sized amounts of mince into patties. The more compression you use, the better they will stick together. Josh made these and he used the back of a dinner plate to apply pressure to the mince beef, which was sitting on wax paper. Nifty idea! 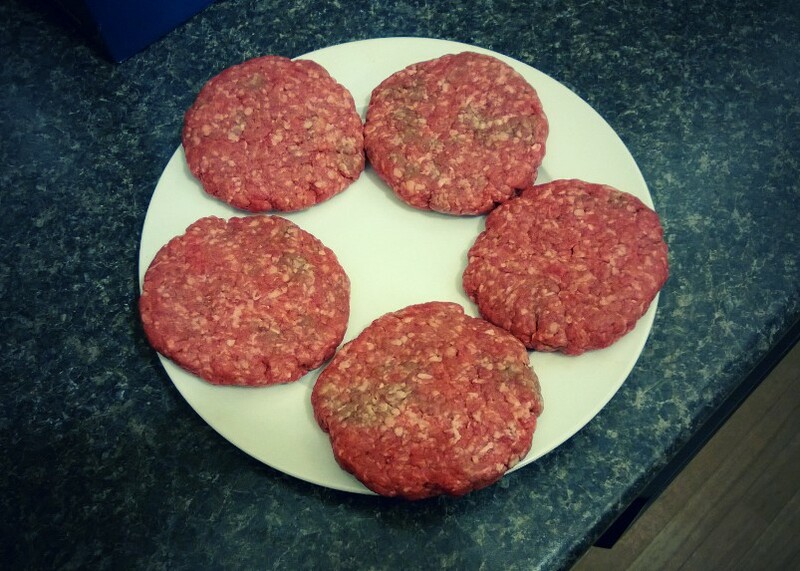 Five over-sized patties… these were Josh sized fists; my little hands would have made them a fair bit smaller! 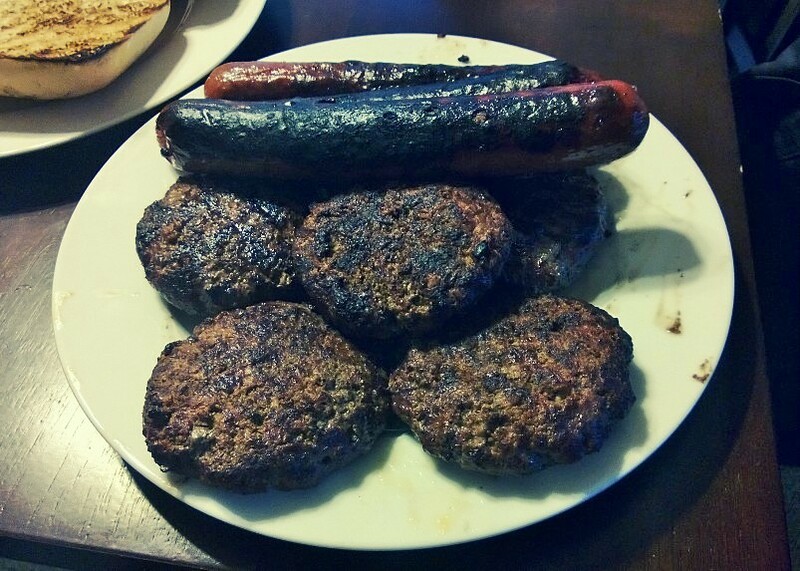 Thirdly, cook your patties on the grill. A medium/med-high heat is best, so that they can cook halfway through without the outside charring up too much. Flip them, then let them cook through to your liking. I like my burgers well done, no pink in the middle. 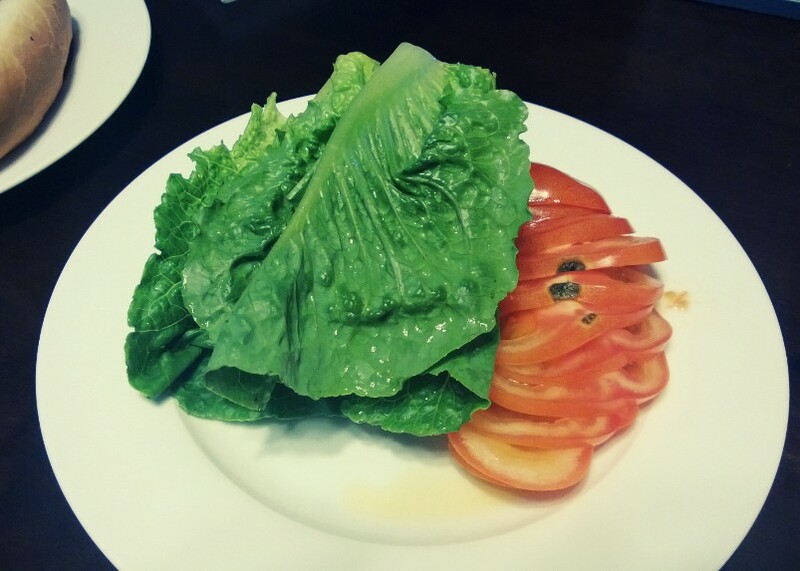 While the guys are outside doing their thing with the BBQ, I sliced the cheese, tomatoes and lettuce. I already had my condiment of choice (Caesar dressing) ready from the Chicken Caesar Salad we had had for dinner the night before, so that was one thing less to prepare. 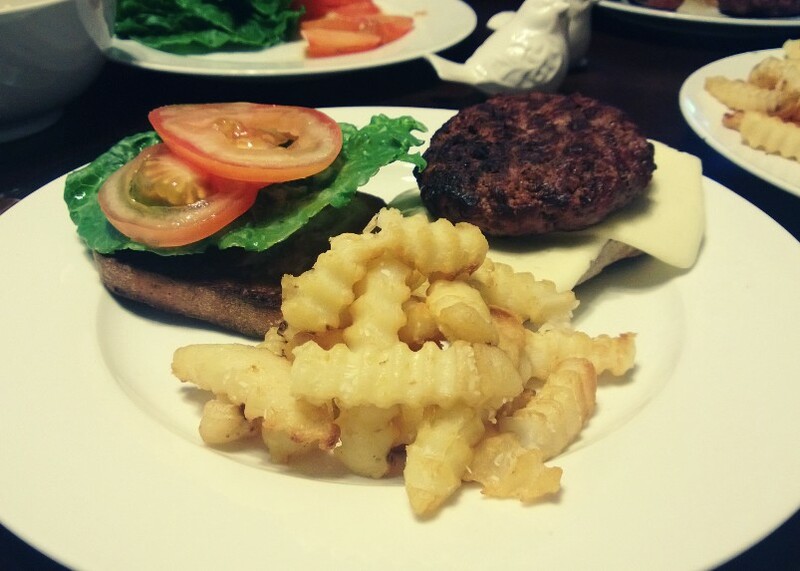 Next, assemble your burger. Simple as that. The chips (fries) we had were *gasp* from a packet 😛 but here is a recipe for homemade baked potato wedges/chips. Havarti cheese, all-beef pattie, tomato, romaine lettuce and Caesar dressing on toasted GF bread. Delish. The packet chips! Gasp! They were GF and nothing fructose-y in them, so all safe. When we have a BBQ, we normally grill some veggies like capsicum or zucchini as well. Just cook them until they begin to blacken then flip and repeat; the time it will take depends on the heat of your BBQ. Just make sure you slice them so that they are wide enough to not fall through the grilling rack! 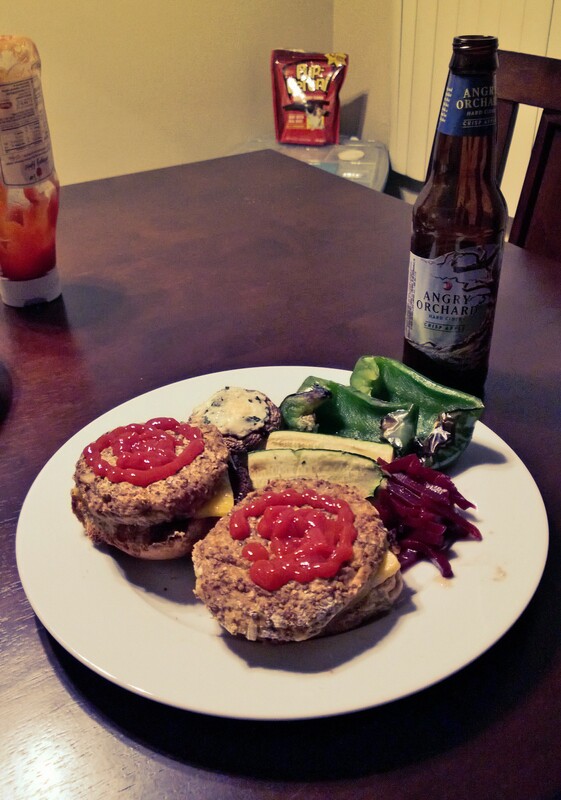 Grilled veggies at the back, vegetarian pinto bean burger patties at the front on GF buns. 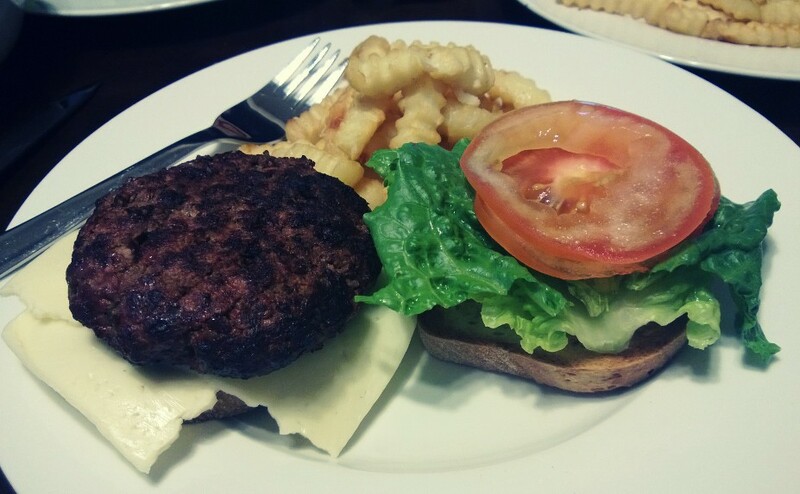 To make your burger really Australian, you need to add an egg, pineapple and beetroot if you can tolerate it. 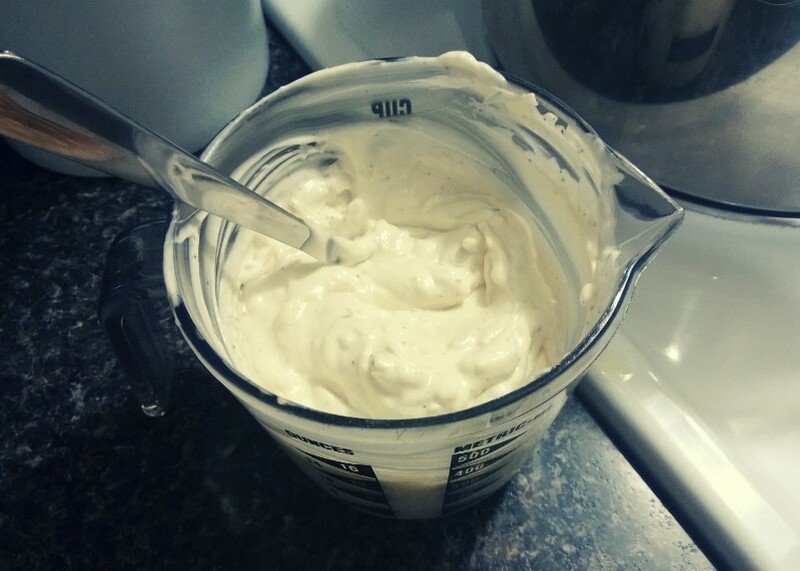 But the egg and pineapple wouldn’t have gone with the Caesar dressing, so they had to miss out… this time. This entry was posted in Carnivore, Dinner / Mains, Sauces & Dips and tagged America, Aussie, Australia, barbeque, bbq, beef, burger, dinner, entree, food, fructose friendly, fructose malabsorption, gluten free, home-cooked, homemade, low fructose, Seattle, spring, spring-time, summer, sun. Bookmark the permalink.